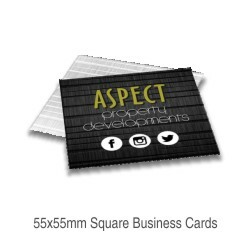 Our standard sized 55mm x 85mm business cards are available on 450gsm Silk stock, single or double sided with the option of Matt, Gloss or Soft-Touch lamination. 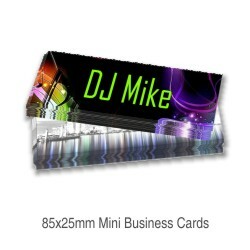 Discounts available on multi-name business cards of 2 or more with different information on each card. 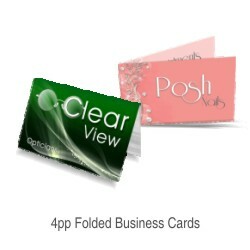 Our 4 page folded business cards are perfect for appointment or loyalty cards. We have a range of creative stocks to add a different and unique representation of your business. 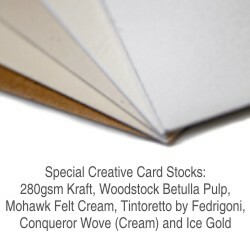 The range: 280gsm Kraft, Woodstock Betulla Pulp, Mohawk Felt Cream, Tintoretto by Fedrigoni, Conqueror Wove (Cream) and Ice Gold. 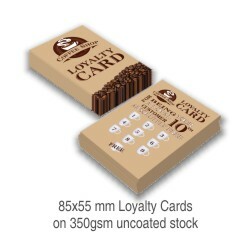 Contact us for more information on our special stock range. 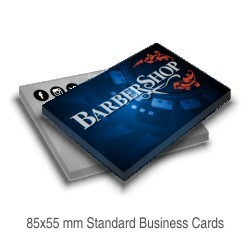 Our 450gsm business cards are printed lithographically. 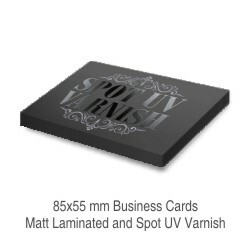 Our 350gsm business cards are printed digitally. Economy Business Cards will be printed either digitally or lithographically depending on which is the most cost effective at the time of production.